Keep it on-trend this season with a belted shirt dress styled with a pair of sandals or white plimsolls. Unstructured fits will keep your downtime look fresh, while clean lines and tailored cuts take the trend into the office. 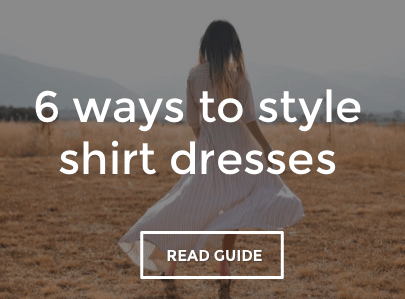 Shop across our edit of shirt dresses from your favourite brands to find your perfect match.